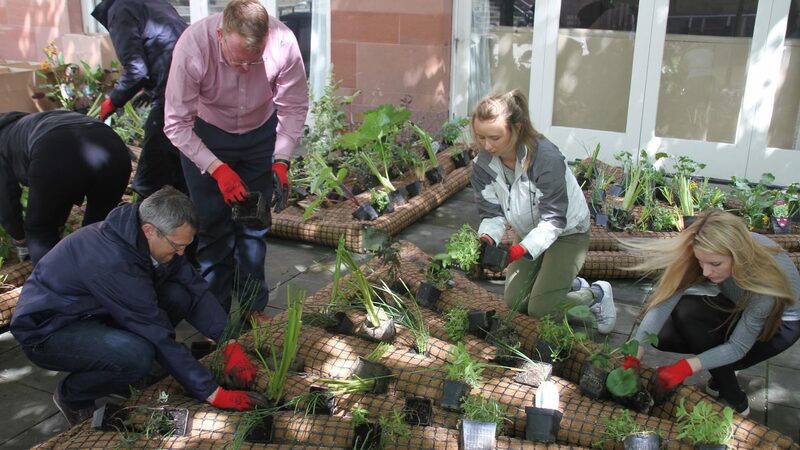 Biomatrix works with clients, partners and regional nurseries to provide a planting selection that fits the ecology and design intent of the project site. 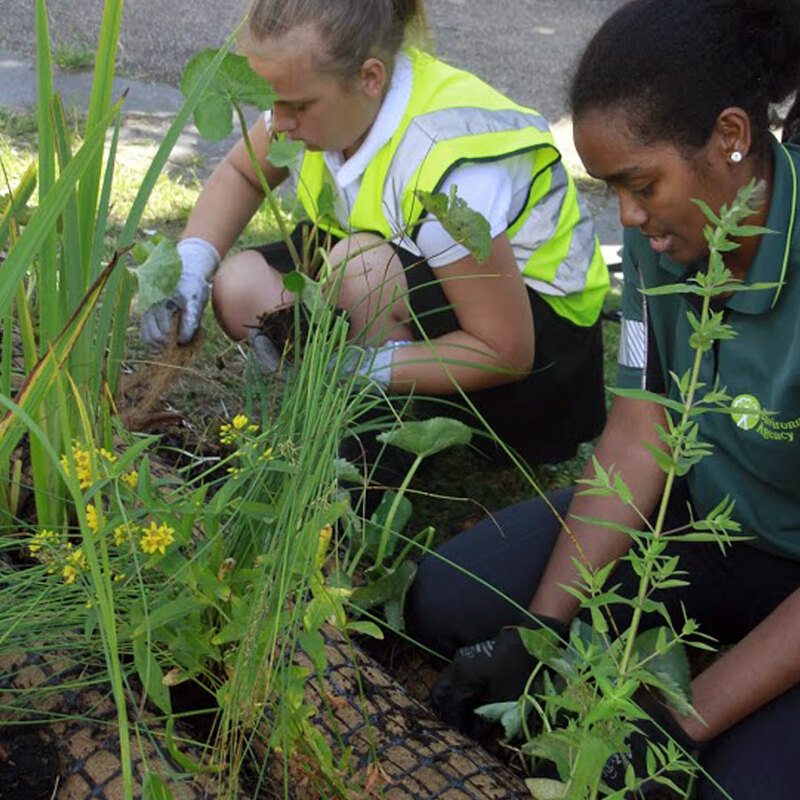 Planting can be native, ornamental, edible, aquatic, terrestrial or bespoke. 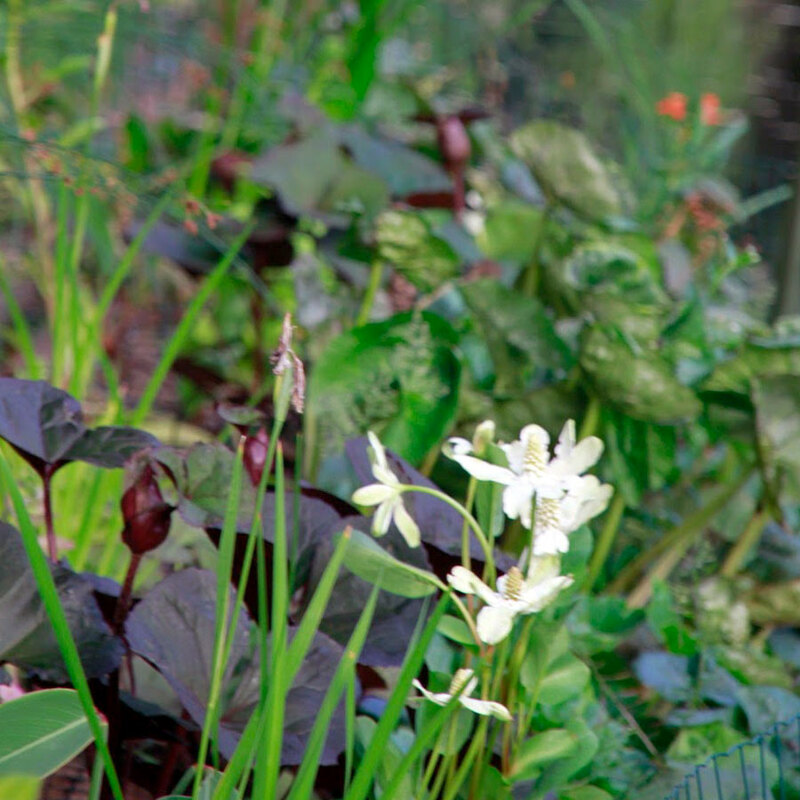 Plants generally establish themselves within their first or second growing season, achieving a mature look relatively quickly. This is especially true if they are planted at the beginning of the growing season. The 2D island modules are designed to take pre-planted coir mats that can be rolled out onto the island structure. 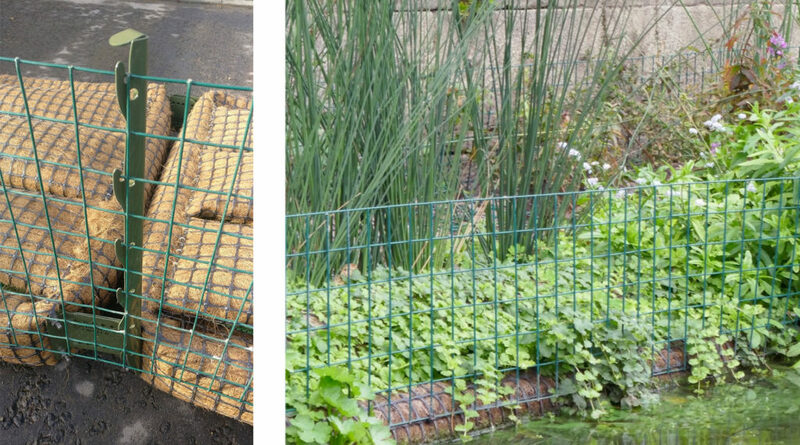 The mats typically contain a mixture of native species. 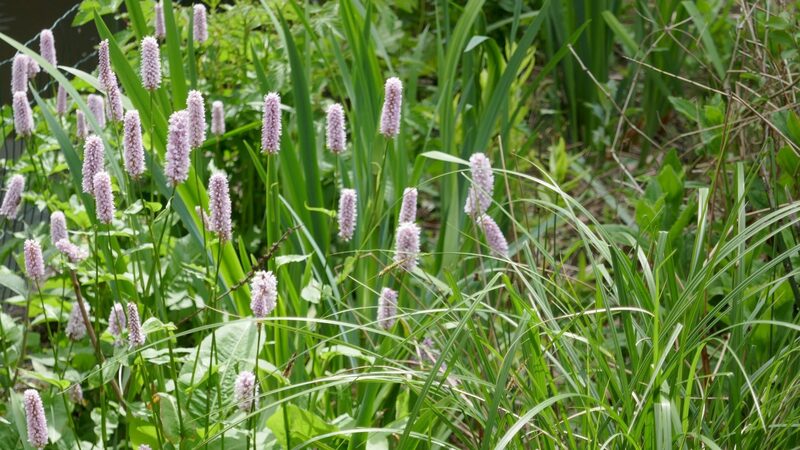 If installed in spring or early summer, the plants are quick to establish as they have been pre-grown and are already rooted into the coir mat. 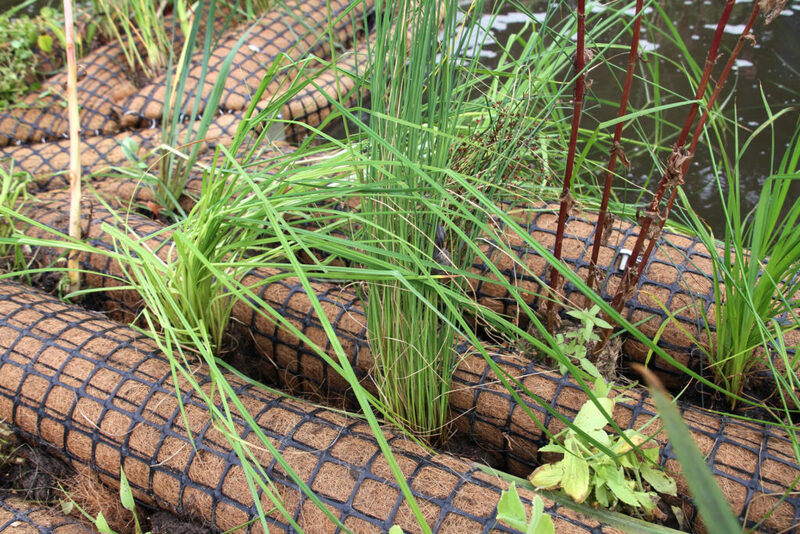 The coir mat will biologically disintegrate within the first two growing seasons, after which the plants are supported in the long term by the layers of structural mesh that are part of the 2D island system.  The 3D and 4D planting system is composed of planting lanes that are designed to take individual potted plants sized up to 3L, plugs or bare root plants. 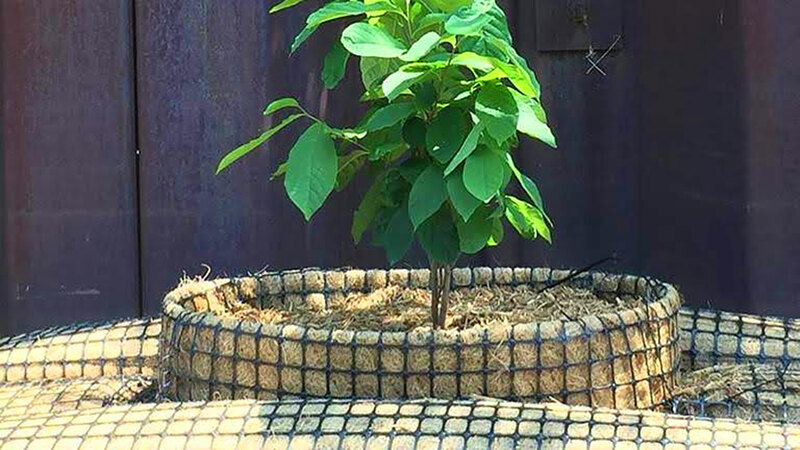 The plants do not need soil to grow, however for smaller plugs or bare roots, additional support in the form of woodchips or coconut coir can be added. The ability to add individual plants provides the freedom to completely customise the planting design. 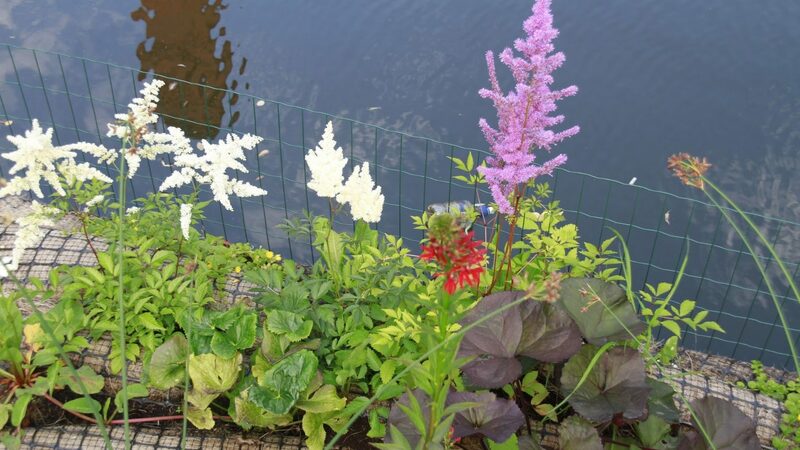 A mixture of marginal aquatic plants and terrestrial plants can be chosen as the plant can be planted deeper into the water or higher up in the planting lane. 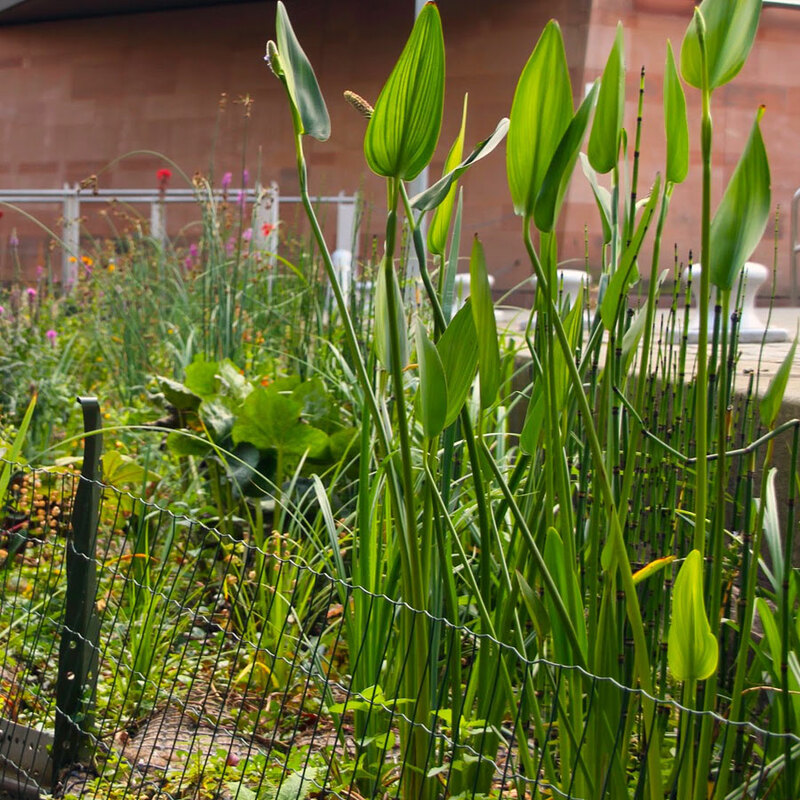 This supports a wider range and biodiversity of plant species. 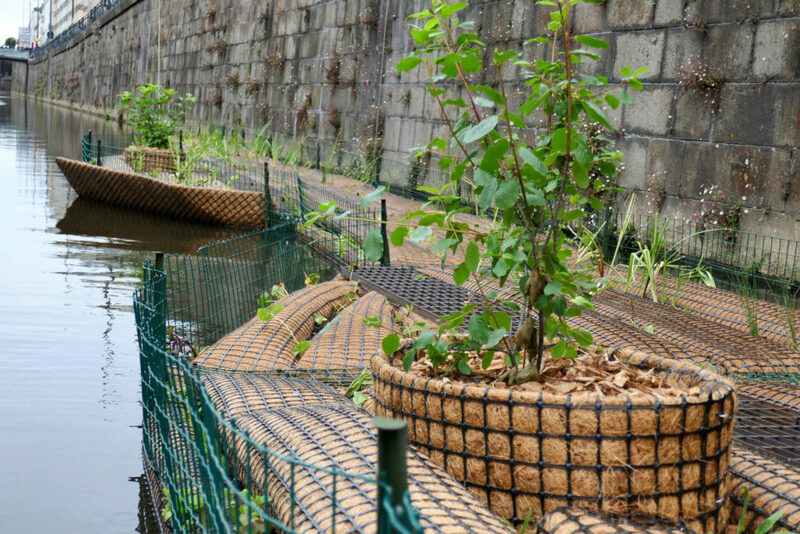 The High Buoyancy Planter is designed with an integrated planting basket in the island structure, able to take small trees and shrubs. 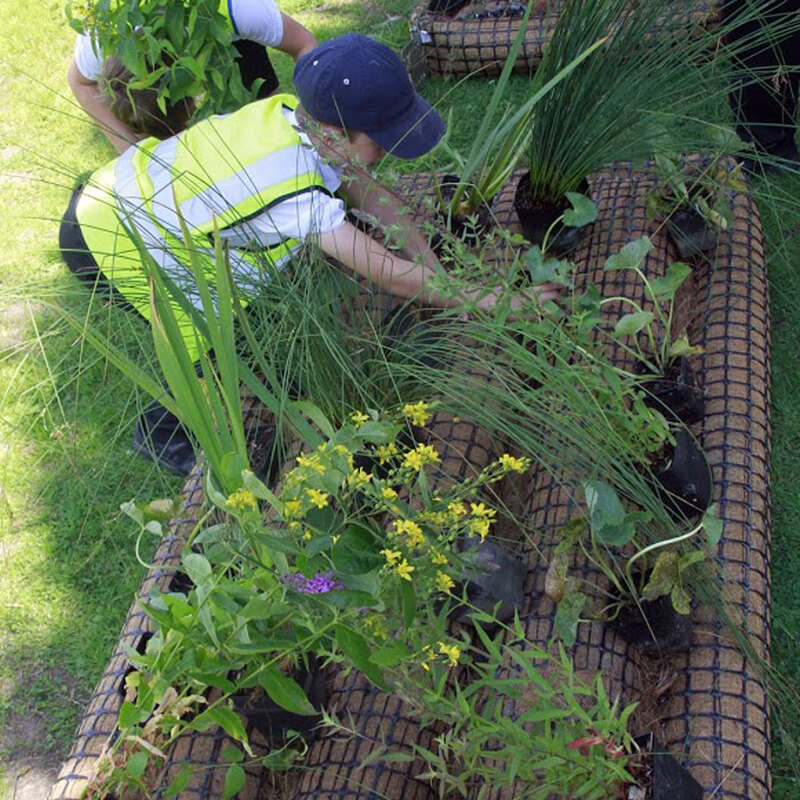 Moisture is conducted into the bottom of the basket, so the planting basket requires no watering, but is also not saturated, allowing a wide range of species to be accommodated with a particular suitability for moisture loving species. 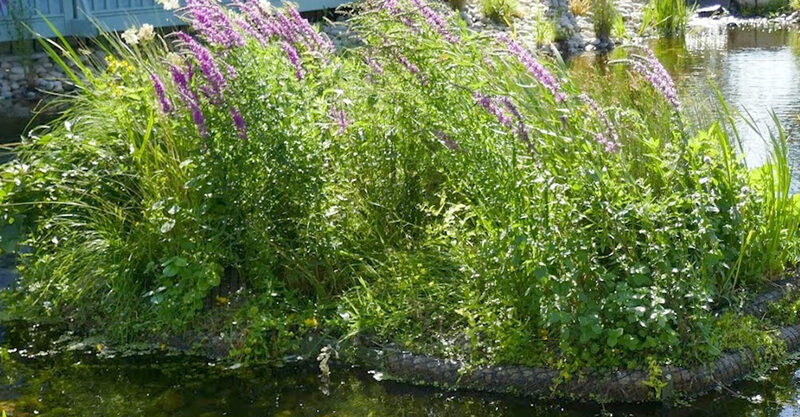 The increased planting elevation provides an ideal opportunity to enhance ecological benefits and waterscape beauty. 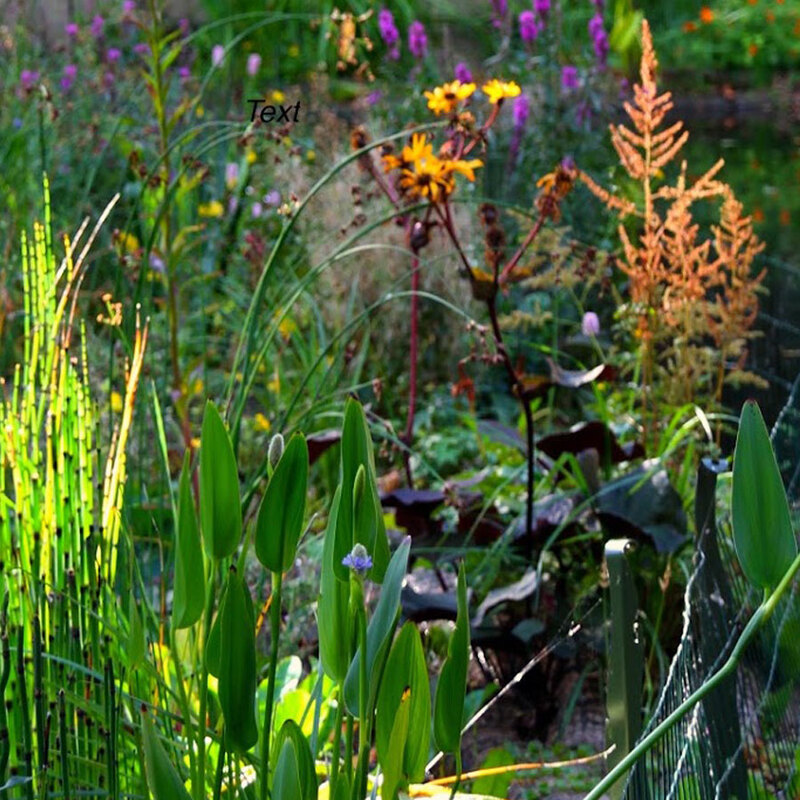 Most ecosystem planting is done using perennial plants. This means that the foliage dies back in winter and regrows in summer. Some evergreens can be chosen as well as species adding summer- or autumn colour. 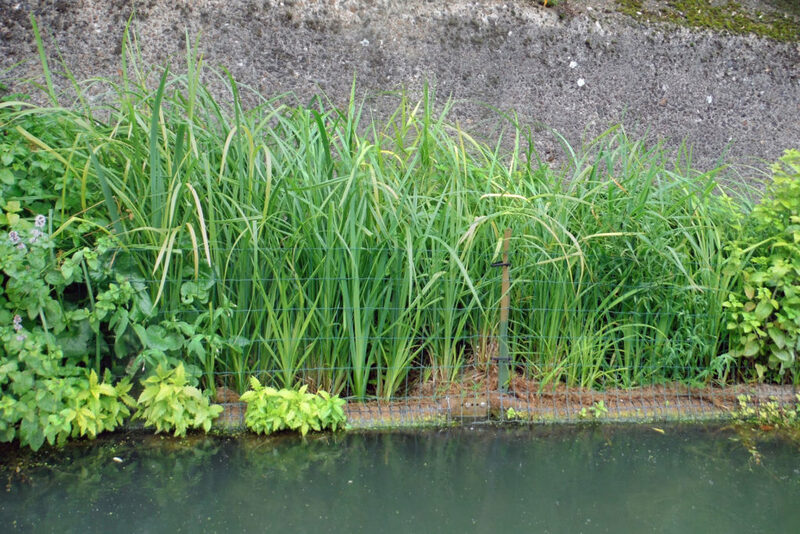 All Biomatrix Floating Ecosystems can be fitted with a protective mesh around the perimeter to deter waterfowl and geese from grazing the plants. 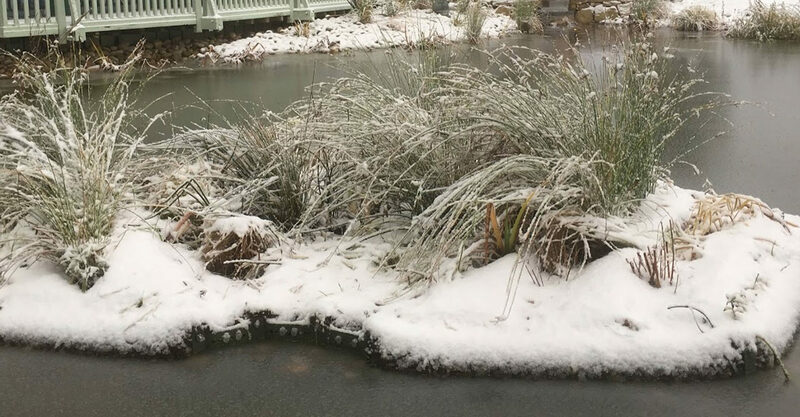 This is especially important during the first growing season when the plants are still establishing themselves. Bird fencing posts are made of laser cut and folded stainless steel, with a curved profile for a natural aesthetic. They are secured easily and directly to the corner bolts of the island modules. The perimeter fencing is made of green coated steel wire mesh and comes in two grades for temporary and for permanent use.